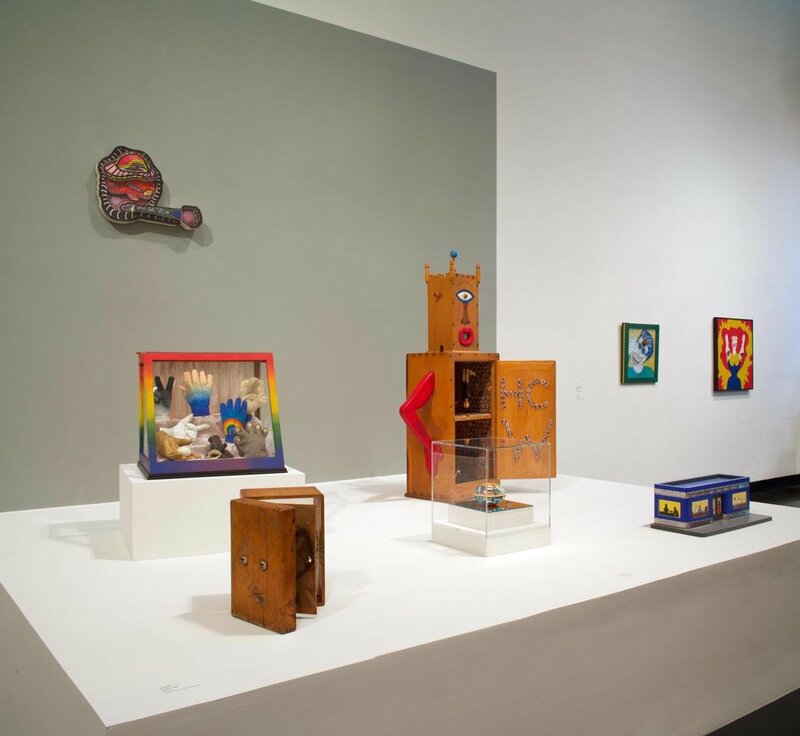 After looking at H.C. Westermann’s sculpture Memorial to the Idea of Man if He Was an Idea in 3-D Doings: The Imagist Object in Chicago Art, 1964-1980, kids will create their own treasure chests filled with all kinds of objects and images from their imagination. What kinds of things would you want to keep in your treasure chest? Materials include cardboard boxes, felt, paper, markers, buttons, and other materials! Family Saturdays foster multigenerational creative cooperation through looking at artwork, discussing it, and engaging in a hands-on art activity. Most programs run from 2:00 – 3:30 pm and include a tour of a specific exhibition. All programs are free and open to the public, and suitable for children ages 5 and older, accompanied by their adult companions. All materials will be provided, and be prepared to get messy and have fun. And dress accordingly! Reservations are required and may be made one week in advance of each program. For additional information and reservations, call the Tang’s Visitor Service Desk at 518-580-8080. Share your Family Saturday photos on social media by including #tangfamsat.